one of the many things that i love about the holiday season is baking cookies. during this time of the year there is always an assortment of homemade cookies hanging out around the house in christmas-themed cookie tins and penguin-shaped cookie jars. it's just magical. 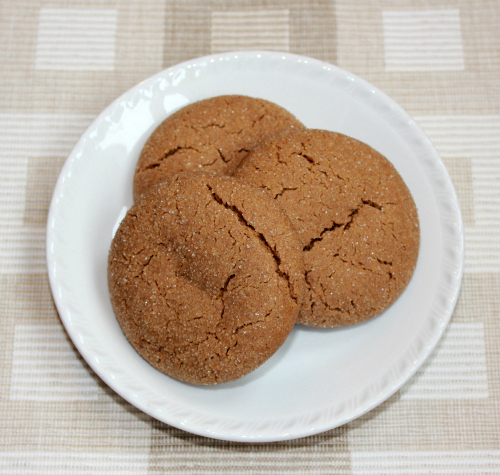 cookies + brown butter = deliciousness and fond memories. 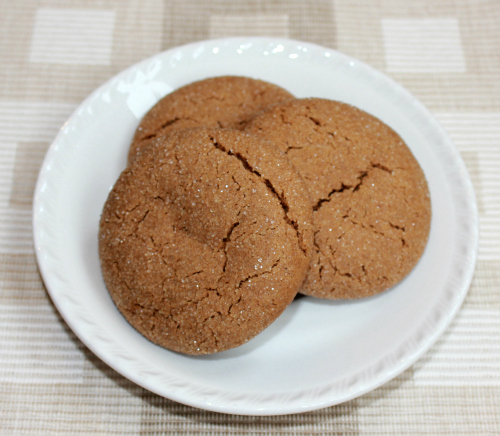 the brown butter gives these cookies an amazing nutty flavor that marries perfectly with the spicy flavor of the ginger and the robust flavor of the molasses. the granulated sugar on the outside of these cookies adds a sparkle that makes them pretty too. these cookies have a cake-like texture that is light and fluffy, and they are so very easy to make. add them to your holiday baking list. you will love them for sure! to brown the butter: in a sauce pan, melt the butter over medium-low heat, stirring constantly. once the butter starts to bubble and foam up, watch it very closely. as soon as the butter begins to turn a deep golden color, remove the pan from the heat and set it aside to cool slightly. preheat your oven to 350 degrees F. in a large bowl, sift together the flour, baking soda, and spices to remove any lumps. pour the sifted dry ingredients into the bowl of an electric mixer. in a separate bowl, whisk together the molasses, sugar, and egg. carefully add in the brown butter and whisk until completely combined. add the mixture to the sifted dry ingredients and beat together until combined. roll balls of dough (approximately 1 tablespoon in size) between your hands until they are round. 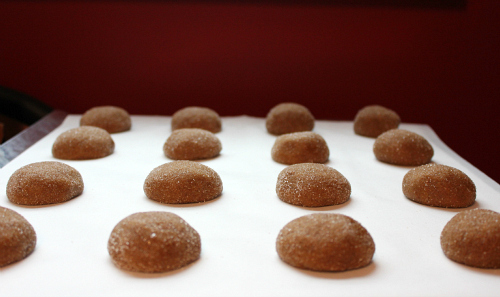 then, gently roll the balls of dough in additional granulated sugar until they are evenly coated. 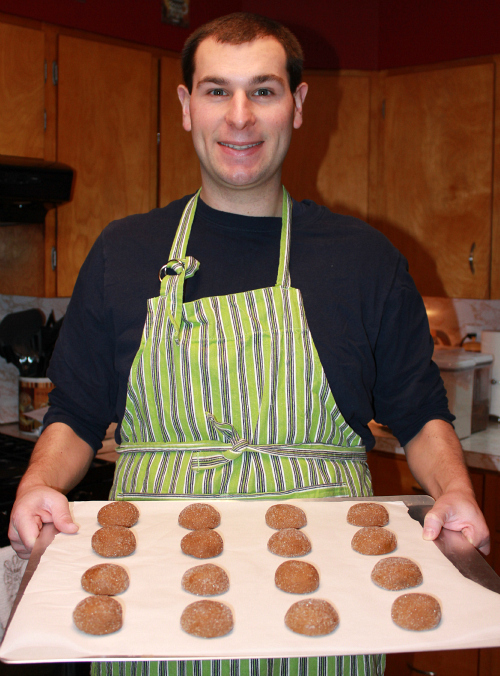 placed the coated dough balls on a cookie sheet lined with parchment paper. bake for 10-12 minutes. 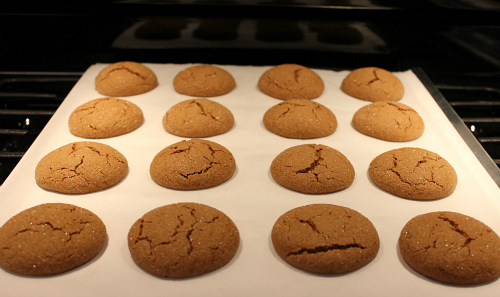 once baked, allow the cookies to cool on the cookie sheet for 5-10 minutes before transferring them to a wire rack to finish cooling. This recipes is very tasty with a nice cup of coffee. The spices are not over powering and the cookies isn't too soft. Just right.